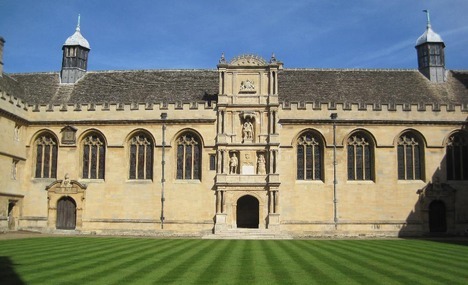 The Bodleian Library is planning to mount an exhibition in the centenary year which will explore the wartime lives of politicians, diplomats, soldiers, academics, writers and others associated with Oxford University. The exhibition will utilise the extraordinary range of materials relating to the First World War among the Library’s special collections. This will be an opportunity to explore contemporary views of the Great War, complementing the themes of World War One: Continuations and Beginnings (http://ww1centenary.oucs.ox.ac.uk/). The English Association‘s Centenary Conference on British Poetry of the First World War will take place at Wadham College, Oxford, on 5-7 September 2014. As well as scholars from around the world, many of the relevant poetry societies will be taking part. More details will follow in due course, including information about keynote speakers, accommodation and costs. Please get in touch with Tim Kendall (email address here) if you would like to be kept up to date as plans develop. You may not expect projects on the First World War to emanate from the University’s Computing Services, but OUCS has a strong history in delivering high impact resources for teaching, learning and research in this area. Back in 1996, OUCS, in collaboration with the English Faculty produced the Wilfred Owen Archive. The archive held digitised copies of all OWen’s manuscripts and a selection of letters alongside contextual items from the Imperial War Museum. With these primary sources the archive also created a set of online tutorials, making it one of the first eleraning resources in rge subject area. In 2008 the Department received a grant from JISC to develop the Owen archive further and digitise manuscripts from other major British War poets. The First World War Poetry Digital Archive (http://www.oucs.oxa.c.uk/ww1lit) contains over 7000 items from Isaac Rosenberg, Robert Graves, Vera Brittain, Seigfried Sassoon, Edward Thomas and more. Additional multimedia artefacts from the Imperial War Museum were added to meet the requirements of new directions of teaching. A new set of specially developed educational resources were added including an exhibition in the three-dimensional virtual world Second Life and interactive timelines. The archive is freely available to the public as well as the educational community. Also in 2008 OUCS started its Great War Collections initiative. The Great War Archive (http://www.oucs.ox.ac.uk/ww1lit/gwa) contains over 6,500 items contributed by the general public between March and June 2008. Every item originates from, or relates to, someone’s experience of the First World War, either abroad or at home. Contributions were received via a special website and also through a series of open days at libraries and museums throughout the country. Since 2010 the Great War Archive has also been working with Europeana to extend this initiative. The Europeana 1914-1918 (http://europeana1914-1918.eu/en) project has been receiving contributions in Germany since 2011, and in 2012 from Luxembourg, Ireland, UK, Slovenia, Denmark, and Belgium. this pan-Europeana project has so far collected over 30,000 items that otherwise may have been lost forever. Most recently the Department received a grant to develop a World War 1 Open Educational Resource (OER). World War One: Continuations and Beginnings (http://ww1centenary.oucs.ox.ac.uk/) surfaces the highest quality OER on this historic event through a cross-disciplinary set of thematic collections that reappaise the War in its social, historical and cultural context. Each theme also includes a series of expert commentaries created by some of the most notable academics in the field of World War One studies and related disciplines. Alongside these thematic directory areas, the Resource Library contains dynamic feeds of relevant resources from the wider OER community. A series of revisualised OER will showcase the full potential of using open material to seed academic debate. OUCS is now considered to be experts in the field of the creation of digital resources for a variety of First World War disciplines. The leaders of these projects sit on a number of national strategic committees that are planning the UKs response to the Centenary of the War.